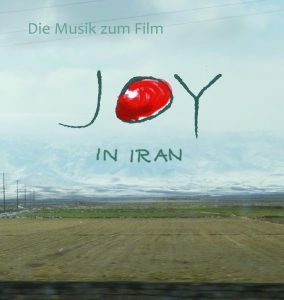 This is the soundtrack of the documentary Joy in Iran (director Walter Steffen), composed by Wolfgang Obrecht. Amongst the 22 tracks are also long versions and a bonus track. The music is played by various German and Persian musicians and focuses on Western Jazz tunes and traditional Persian music. A journey between orient and occident, between sadness and fools’ paradise. You can order the CD by visiting our shop on www.konzept-und-dialog.de.